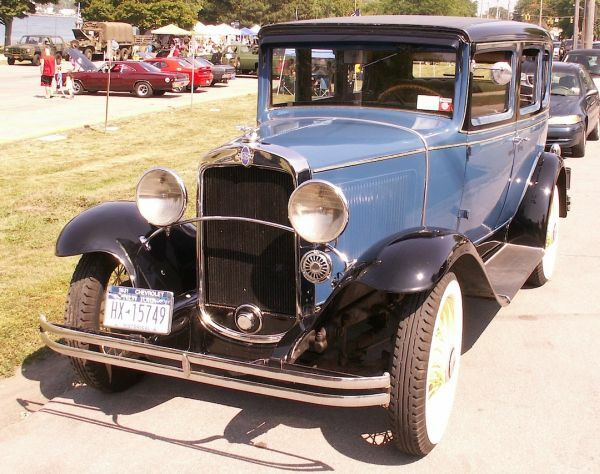 Getting harder to find cars older than I am, but this 1931 Chevrolet sedan certainly fills the bill. And just what did $635 (f.o.b. Flint, Michigan) get you in 1931? For starters, according to the brochure: “Rear compartment richly carpeted, and equipped with foot rest and robe rail. Front seat adjustable. Upholstery of mohair or broadcloth…” This was one of seven different body styles available, and was photographed at last Labor Day’s car show in Niawanda Park in Tonawanda. Jim Corbran, RRofWNY …and check out our Facebook page: Non-American Classic Cars The post RealRides Of WNY appeared first on Buffalo Cars.